The money withdrawal ATM is familiar to all of us. But do you know about the gold dispensing ATM's? 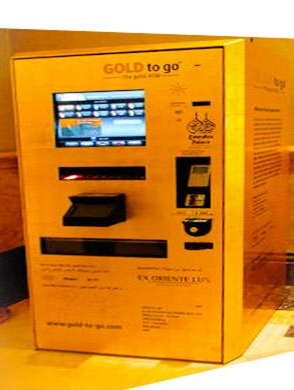 First time across the world, in 2010 the gold dispensing vending machine was arranged in the hotel of Emirates Palace in Abu Dhabi. Gold to Go is the name of Gold ATM and product brand which was designed by the corporation of TG Gold super mart. 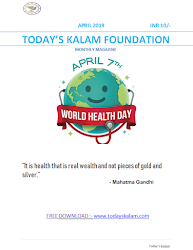 People are facilitated with the varieties of 320 gold-plated designs, golden bars of 10 Gram and gold coins of pure gold to purchase with the help of this machine either by using the payment modes of cash or cashless. The cost of gold as per the market price once per every 10 minutes with help of internet which equipped inside with such facility net sinking. The gold purchases via this machine not only restricts for three times per day but also not exceeds more than 1000 Euros. While we are purchasing gold through it, this system asks us to scan our passport or ID for the purpose of security. If we face any problem or doubt regarding the purchase of gold with this vendor machine, we may ask them help via Help button on the screen or contact them at the nearest located help centre of the company. Later gold ATMs are arranged globally in many countries like Germany, Great Britain, Switzerland, US. In 2016, these machines have set up in the cities of New Delhi and Bangalore in India.